When I teach groups, I generally create custom handouts for those in attendance. I’m in the process of developing two handouts for a new client right now. As a result, the training they get will be relevant to their organization. 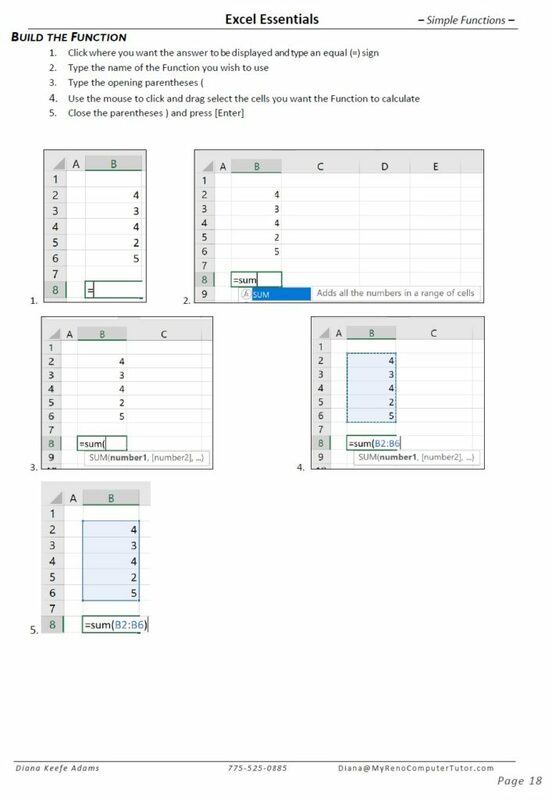 These images are in the Excel Essentials book that I put together for UNR Extended Studies. Send an email (contact) or call and we can develop a book specific to your organization needs. 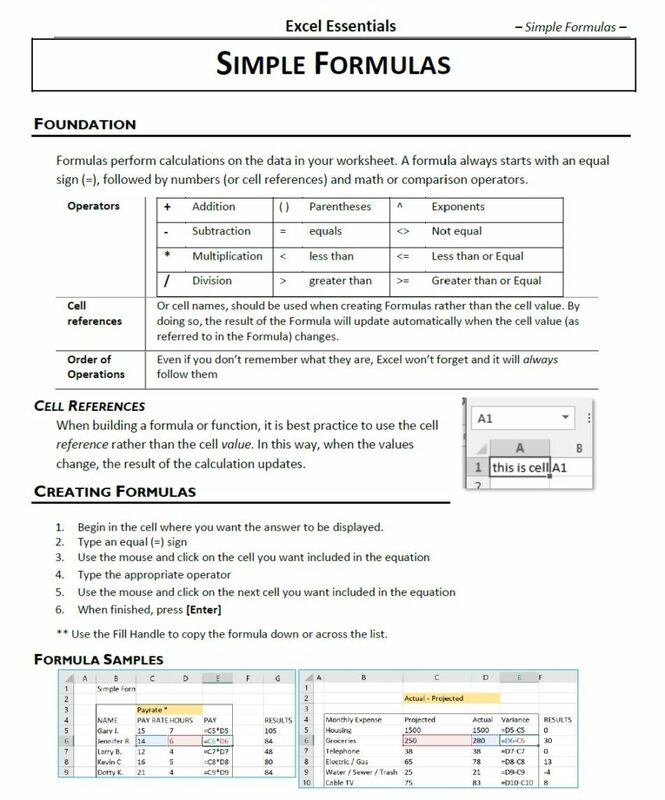 Formulas perform calculations on the data in your worksheet. Because of this, you’ll want to use cell references instead of hard values. Learn to build a simple function from the ground up. As a result, you’re better able to understand larger and more complicated functions. There are three elements of every function. First, your function will always start with an equals sign (=). Second, the function will have a name [SUM]. And third, the function will have arguments enclosed in parenthesis [(B2:B6)]. Why teach keyboard shortcuts? 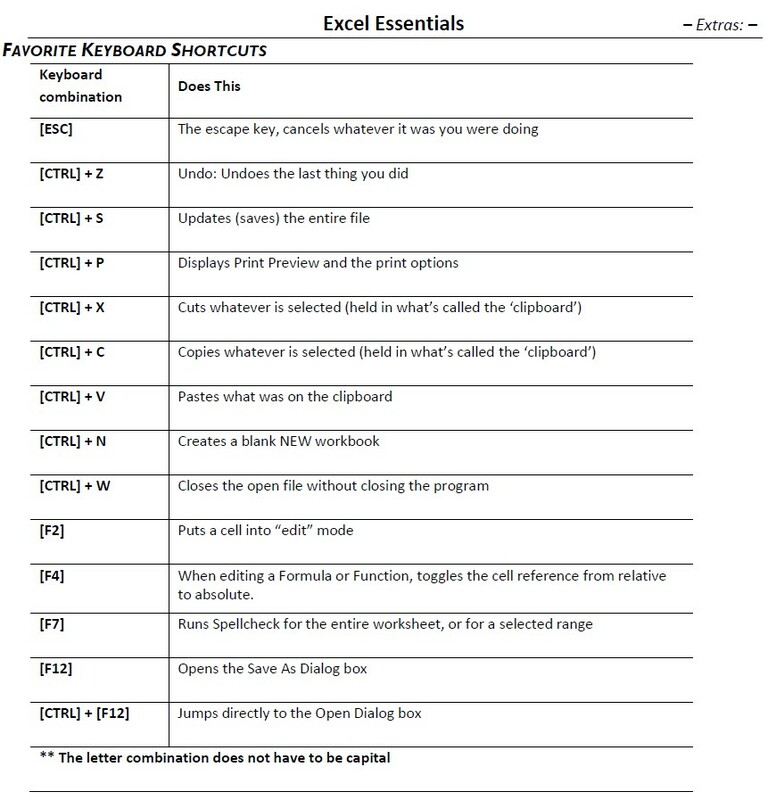 Because keyboard shortcuts can help improve your productivity and efficency! What does your organization need? If you contact me, we can create material for you.